One of the great thing about the internet and having a web site is how you can get feedback from customers (or potential customers) in a much easier fashion than in the old school days. Bell Performance has many testimonial statements on file that were collected by sales people or sent in by satisfied customers over the years. We even have one from before 1920 (look on our Facebook page to see a copy). In the past year, we've added some additional areas on our web site where customers has give us feedback, good or bad, on their product experiences and order experiences, because that's important to us. If someone had a bad order experience (like it didn't get there fast enough), we want to be able to make it right for them. And if someone buys a Bell Performance product and has a great experience, we definitely want to know about that and enable them to tell it to the world. One such case came in to our email inbox during the week of October 11th (2012), from a customer who purchased X-tra Lube oil treatment and Dee-Zol fuel additive.The customer, who we will call Michael B., operated a business in south Alabama that involved forklifts and freight trucks and long haul services. In 2012, he purchased some oil additive (X-tra Lube) and diesel fuel additive (Dee-Zol) from Bell Performance in the hopes of extending the life of the motors in his equipment. "Had a 90s model Freightline Cabover with a 28 foot flat bed and a piggyback forklift attached. An employee loaded up with concrete blocks and had just passed the last exit before the (Alabama) state line and the temperature gauge pegged out. Employee made the decision to continue driving to the next weight station of the next state. Distance was approximately 10 miles He entered entered into weigh station with steam rolling out as if truck was on fire. When notified by said employee, the descion (sic) was made to let the motor cool down. When cooled, they discovered that radiator had no water in it. 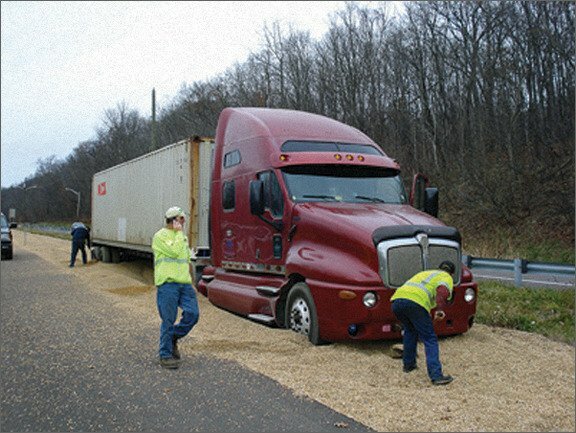 Driver admitted to not doing basic pretrip procedures that morning. Filled radiator back up with water. Started up the motor. No damage whatsoever. Driver then continued to the job site with load and used the truck for another two years later. Last time I saw it, it was still going strong." So the driver neglected a crucial aspect of pre-trip maintenance and did not see that the engine had no coolant in it. At least that's the initial idea, although the problem could have been that there was a coolant leak or some other problem that caused severe overheating in the engine. When the engine redlined as described, whatever coolant was left boiled off, giving the effect that he described ("steam rolling out as if truck was on fire"). At any rate, this was a serious situation because of the potential for catastrophic engine damage in multiple areas. Large truck engines are typically five figure investments, not something any business wants to absorb unnecessarily. So they cooled the engine down and put water back in the radiator (no mention of whether there was still an existing leak or not). And the motor started right back up with no signs of problems or diesel engine overheating damage. And Michael B. reports the truck is still going strong 2 years later. If we're doing an autopsy on what happened here after the overheat, it seems that the truck engine was saved, in whole or in part, because of the X-tra Lube oil additive. 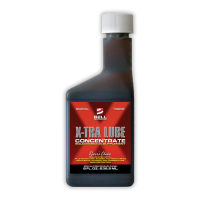 X-tra Lube is formulated with friction-reducing particles that reduce friction and heat even under the most extreme conditions of pressure and temperature. An ordinary oil additive would have failed and/or been burned off by the severe overheating taking place. That would have led to catastrophic seizing and damage, with a major repair bill to follow. But the MBL particles in the X-tra Lube kept working and providing extreme residual lubrication that enabled this truck to keep going the extra ten miles to the next weight station, with no damage afterwards. So it's safe to claim that a $25 investment brought this company a return of 400:1 or more. X-tra Lube proved itself under this worst-case scenario. Imagine what it can do for your vehicle.